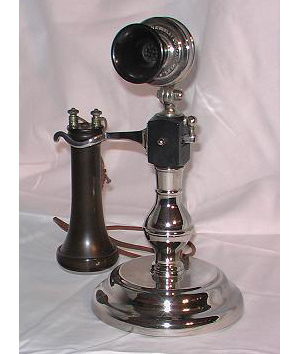 This phone has a square bakelite block just below the perch. 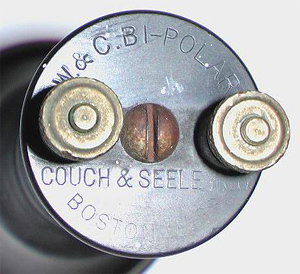 Couch and Seeley was based in Boston. read about early candlestick manufacturers.